The daughter of a minister and music director in rural Georgia and now living in the Blue Ridge Mountains of North Carolina, Wright grew up playing piano and singing in her father’s church. 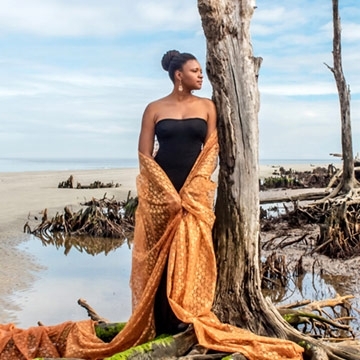 Her music is imbued with the lively passion of Southern sacred tradition, connecting the texture of church music with the groove of jazz and endowing both with new depth and radiance. Her extraordinary voice ‘simmer[s] with midnight heat and the cadences of gospel music’ (The Guardian). Every one of Wright’s six albums to date has been critically acclaimed, from her debut album Salt(Verve Records), released when she was just 23, to her most recent, Grace(Concord Records). Through this body of work and her extraordinary live performances, Wright has cemented her place as one of the most captivating vocalists of the past century.